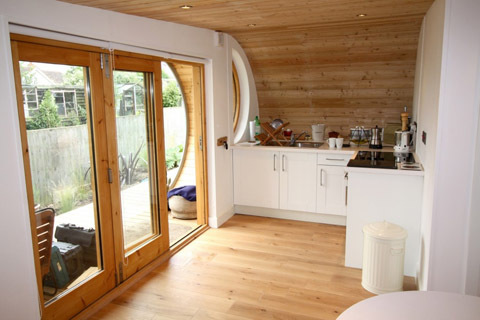 Imagine a small prefab totally assembled with natural materials and implemented within 5 days? 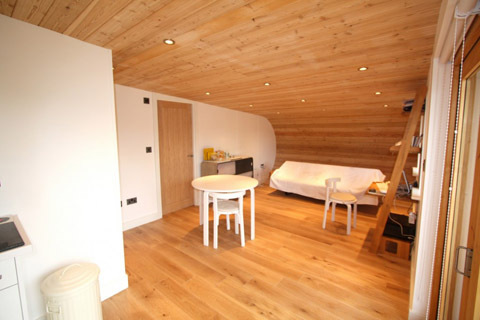 The answer is Whitstable EcoPerch, a luxury 48sqm cabin with a combined kitchen, dining, living area and bedroom that can comfortably accommodate four people. 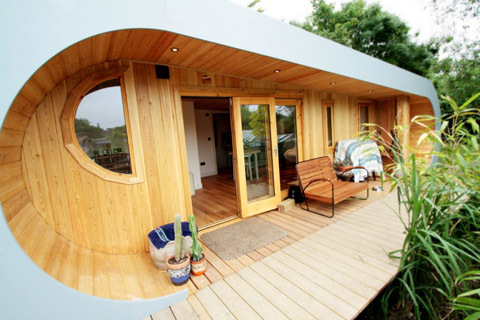 This flexible modular structure can also be adapted to serve as a home office, garden studio or even a classroom. A veranda precedes the front door that leads to an open space where social and private areas are concentrated. 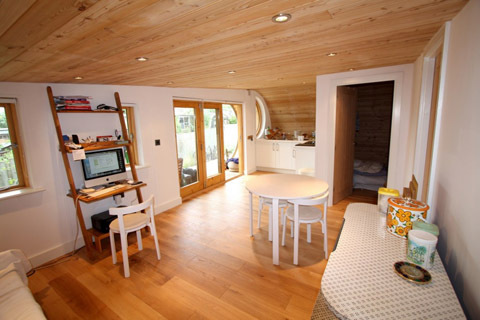 Only a bunkroom and a bathroom are separated from this flexible open space plan. Kitchen and dining areas are immediately related to the entrance while the living + sleeping areas are placed at the opposite side. A log-burning stove is cleverly disposed in the center of the space, guaranteeing warmth even in the coldest winter days. However, there’s a unique formal quality that captures our attention, as this structure is wrapped with a continuous roof surface – an oval sectional geometry visually connects the interior rooms with the outdoor scenery through windows and a veranda formed with a deep eave. Prefabricated wood panels assume the structural and finishing material while a variety of off-grid and renewable energy sources make it Eco friendly. 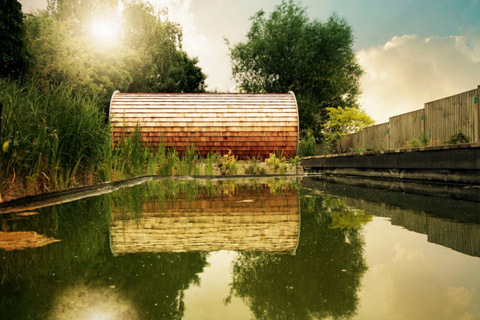 This small wooden shelter could be a nature’s lover dream come true, don’t you agree?